On June 25, Congressman Steve Chabot (R-OH/1st) visited TCA offices and met with TCA staff and summer interns. 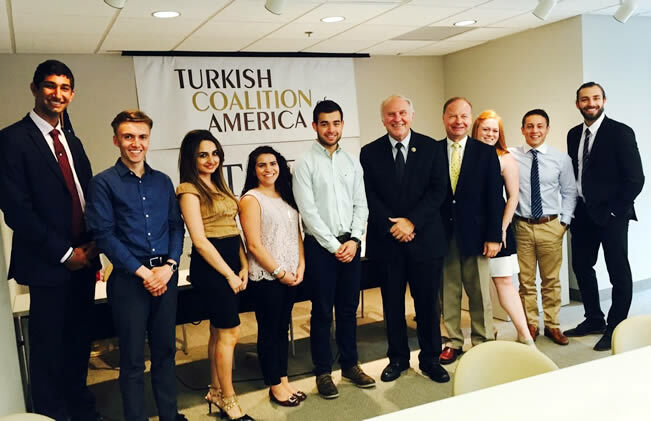 Congressman Chabot is the Chairman of the House Small Business Committee and a member of the Congressional Caucus on U.S.-Turkey Relations and Turkish Americans. Some topics of discussion included the Transatlantic Trade and Investment Partnership (TTIP), the Syrian refugee crisis, and the 2016 U.S. presidential elections.